Caisson Investment Management is pleased to confirm Lisa Allsup has joined Caisson Investment Management as Executive Assistant. Lisa will be working within the equity and investment team. From assisting in the office move onwards Lisa will be responsible for ensuring the smooth running of the overall team, co-ordinating the operation of the office and website as well as working on the firms in-house Panther database and its financial cash flow model - ORAC. “We’re delighted to welcome Lisa aboard and are looking forward to working with her. With over £290.0m of AUM and a clear target to grow this asset base further Lisa is joining at a perfect time to help with this effort. As is the Caisson way we will be making sure Lisa is involved in every part of equity, investment and acquisition process and will be welcoming her input into our business ” Said Philip Stott, Investment Partner. “Being able to combine the organisational aspects of being an executive assistant with involvement with Caisson’s rigorous approach to research and investment analysis is a real plus for me. I am also enjoying the way the Partners encourage everyone’s input into the firm’s business ­ very refreshing” Said Lisa Allsup. 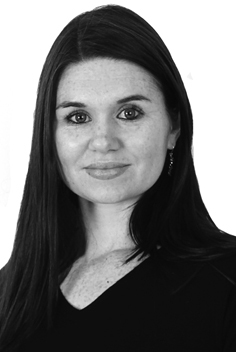 “After many years in South Africa working in the mining industry and then coming back to the UK in 2007 to work both in the public and private sector Lisa brings a great depth of experience to Caisson and is exactly the type of person we see as helping build on the success of Caisson. To find an investment savvy executive assistant with great interpersonal skills is a rarity ­ just what we were looking for. ” Commented David Carter, Managing Partner.